One of the biggest obstacles for creating successful branching scenarios in eLearning is writing the narration script. You must ensure that characters are memorable and relatable, and that online learners know how to use the information in real world contexts. 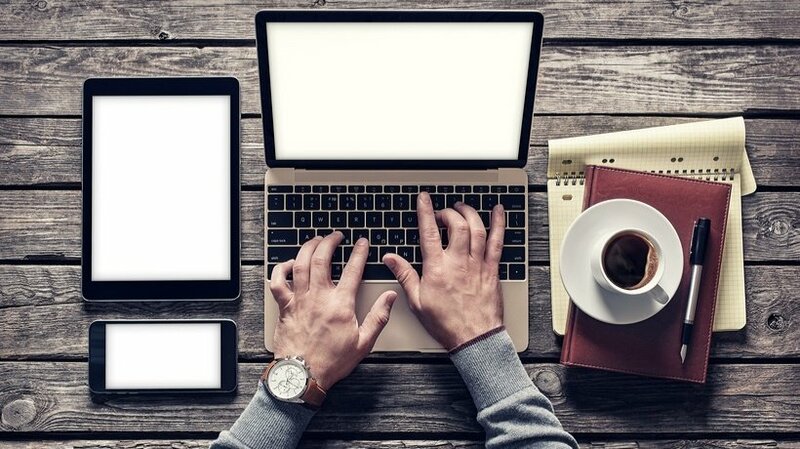 Thankfully, you don't have to be a Hollywood screenwriter to craft the perfect eLearning script. Here are 9 tips to help you develop narration scripts for branching scenarios. Your eLearning script for branching scenarios must have a narrative flow. It should also align with your eLearning objective and convey the right tone. All of this requires careful planning and forethought. In other words, you have to map out the framework of your eLearning narration script in advance. Are you going to include eLearning characters? Will personal anecdotes or real world examples improve knowledge retention? What are the key takeaways that you need to include? Meet with your Subject Matter Expert to get their feedback and identify the must-haves of your branching scenarios. In addition, create a visual representation that depicts each path. For example, start with the opening decision or problem, and then branch off into different paths. And those screens diverge into alternative paths based on the online learner's actions or choices. The needs, preferences, and expectations of your online learners should dictate every aspect of your eLearning narration script. You must also learn as much as possible about their backgrounds, knowledge base, and experience levels. Otherwise, you may cover ideas or concepts that are unfamiliar or irrelevant, which diminishes the value of your branching scenario. Conduct audience research through surveys, pre-assessments, and interviews to form effective online learner personas. Then write your eLearning narration script based on their interests and personality traits. If you're playing the role of a fictional character or even a historical figure, you'll have to step inside their shoes. This allows you to see things from their perspective and adopt their verbal mannerisms. For example, would these eLearning characters really use that vocabulary? What are their primary motivations? And how can they connect with your online learners on a personal level? You should also pay careful attention to dialogue, if there are different narrators or characters who are interacting. Every eLearning narration script should focus on one topic, task, or concept. For example, a work-related task that employees must master, or a skill online learners need to achieve their goals. If you do have a lot of ground to cover, divide it into separate branching scenarios and make it micro. This allows online learners to access the branching scenario during their "moments of need." They can also use it to refresh knowledge and vital skill sets. For best results, concentrate on a single objective or desired outcome for each branching scenario. Branching scenarios in eLearning are supposed to mimic real life situations and challenges. This also applies to the feelings that online learners might experience in the real world. For this reason, you need to form an emotional connection through your eLearning narration script. Make them sympathize with the eLearning character, or handle the stress that they would face on a typical work day. The key is to put them in the right frame of mind so that you can pinpoint gaps and gauge their performance. Certain online learners may be new to the world of branching scenarios. These individuals need clear instructions on how to progress through the decision paths and achieve the desired outcome. Give them a brief intro at the beginning and then offer support online resources during the eLearning activity. For example, a link to a FAQ or an online mini-tutorial. In addition, the narrator can even offer tips and tricks on how to use the LMS. One of the primary benefits of branching scenarios is that they tie into real world situations. They give online learners the ability to see how their actions, behaviors, and choices lead to certain consequences. That includes both negative and positive outcomes. As such, your eLearning narration script should emphasize the real world repercussions for every decision-making path. For example, choosing not to help a customer or resolve a conflict may escalate the problem, whereas using effective communication skills can remedy the situation and achieve the desired results. There are a variety of case studies, articles, and real world examples you can use as a springboard for your branching scenario. Just make sure that you cite your online resources and verify the facts. Alternatively, use personal anecdotes or experiences from members of your eLearning team. For example, your Subject Matter Expert may have encountered an unusual challenge during their last eLearning project. They can use this information to write a realistic branching scenario for your audience. Written and spoken form are two entirely different things. A piece of dialogue may look great on the page. However, it sounds robotic or out of place when you say it out loud. Which is why you should always do a test run, preferably in front of an audience. Gather your eLearning team and do a read through. Ask for their honest feedback or invite them to contribute to the branching scenario narration script. This is also a great way to catch any last minute mistakes. For example, inaccurate information that slipped through the cracks during the proofreading process. Branching scenarios offer online learners real world experience without the real world consequences. However, it all hinges on an effective eLearning narration script that is believable and emotionally-centered. Online learners must feel like they are active participants, instead of passive onlookers who watch events unfold. That's what it takes to create a memorable and interactive eLearning experience. Do you need to make your branching scenarios more dynamic, engaging, and immersive? Read the article 7 Branching Scenario Techniques For Instructional Designers to create more effective branching scenarios.